A briefcase that can hold everything you need to have during your work days, whether you need to go to the office, from external customers or a business trip; MARION will be able to accompany you whenever you consider it appropriate. 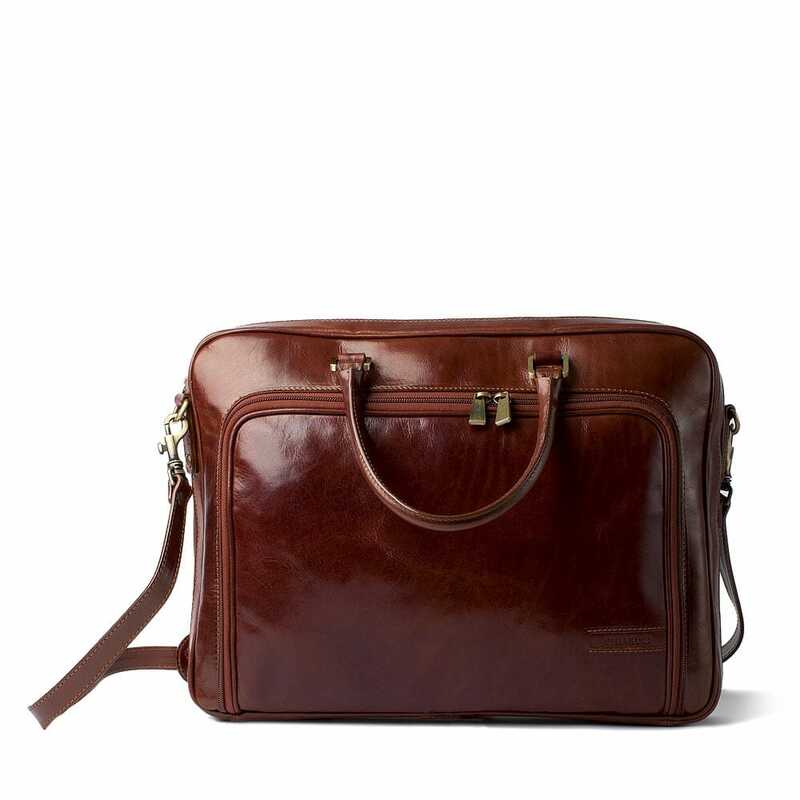 A well-organized bag with large, well-groomed exterior pockets with brushed old brass hardware to give it a classic look, the attention to detail also continues internally with contrasting beige fabric with brown leather trim. Our MARION is part of a collection conceived for demanding customers who want accessories for business and leisure that feature a perfect balance of design and practicality; is created using vegetable-tanned leather that is stocked, hand-padded and then polished with an amber roller. This particular treatment makes the leather both supple and strong, with a very full-bodied feel, an effect that is further enhanced with use and the passage of time. A bag that once used you can not go to work without.